Workplace accidents in Massachusetts are not limited to a particular type of industry. A work-related injury or illness can occur even in the most unexpected job environment. The workers’ compensation attorneys at Pulgini & Norton counsel and represent individuals who were hurt or suffered an illness at work. 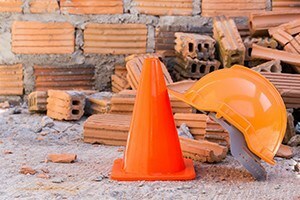 A Boston work accident lawyer can help you seek the benefits you need for your injuries. Some of the more common injuries and illnesses were sprains, lacerations, fractures, skin disorders, respiratory conditions, and hearing loss. A majority of workers were hurt as a result of overexertion, contact with equipment, and falls. Laborers, nurses and nursing assistants, and truck drivers experienced the highest number of non-fatal work-related injuries and illnesses in Massachusetts in 2012. If you are hurt at your job, you may be eligible to pursue workers’ compensation benefits. All employers in Massachusetts are required to carry this type of no-fault insurance, which provides certain medical, wage, and other benefits to individuals with a work-related injury or illness. You can claim workers’ compensation benefits once your medical condition has put you out of work for at least five days. Your employer will need to report your injury to its insurer and to the Department of Industrial Accidents (DIA). If your employer is uninsured, you may be able to receive benefits through the Massachusetts Workers’ Compensation Trust Fund, but you would need to file a claim with the DIA. The two main forms of assistance you can receive are medical and wage benefits. Workers’ compensation provides coverage for any care or treatment related to your injury for as long as it is needed. The medical care must be “reasonable,” which can be a point of contention between you and your employer’s insurer. Wage benefits will depend largely on how much an injury or illness disabled you. The amount and duration of the award will depend on whether you suffered a partial disability, temporary total disability, or permanent total disability. Wage benefits are subject to a state maximum, which is set every year in the fall. It can be a challenge to get workers’ compensation benefits. Your employer’s insurer may question the severity of your injury, your medical treatment, or even your employee status. If it denies your claim or wants to reduce your benefits, you will need to file a claim with the DIA. The process can involve several steps, including a conciliation, a conference with a judge, and a hearing. You must prove your case to receive your benefits. You may have to produce medical evidence to show that you were hurt at work, that your injury caused you to become disabled, and that you need certain medical treatment. Your employer’s insurer may also try to settle with you. A lump sum settlement can replace your benefits and is subject to judicial approval. Our attorneys can help you navigate the claims process, denials, and any settlement offers. At Pulgini & Norton, we provide capable representation to people who have suffered from employment-related accidents or illnesses. Our work accident attorneys can advise Boston residents and others on their legal right to workers’ compensation benefits and help you seek the assistance you deserve. If your benefits have been denied, or if the insurer wants to modify them, we can represent your interests at any proceeding before the DIA. We offer our services to injured workers in Quincy, Hyde Park, and New Bedford, among other communities. Call us today at 781-843-2200 for a consultation. You can also contact us by completing our online form.